I'm always on the look out for new places to have lunch in South Austin. There are just so few quality lunch places. So when Lee suggested we try lunch at Dan's I said, 'Sure! Why not'. 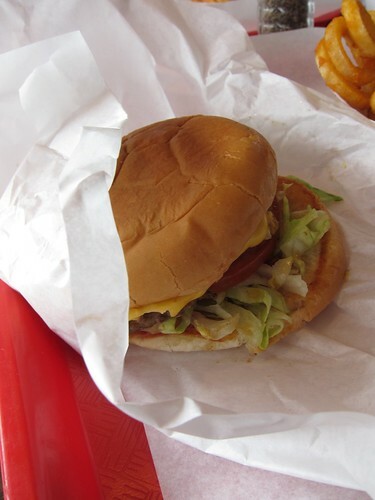 I've been a little under-whelmed by the burgers I've had in Austin. After eating a grease soaked Tommy's burger in Fort Worth every Friday for 5 years, I got a little spoiled. None of the burgers I've had in Austin I feel have measure up. No one seasons their burgers here! Its like a burger travesty. Give it a little flavor people! 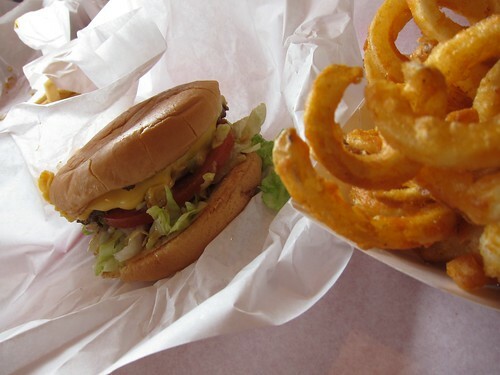 I decided to go with a basic cheeseburger and curly fry. The burger was actually pretty good. Probable one of the best I've had in Austin (but still not as good as Tommy's). The fry's were ok. Kind of mealy. 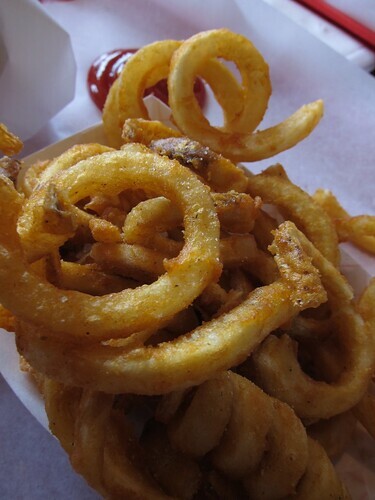 I prefer the Mighty Fine crinkle cut fries - but I like my fries a little on the crispy side.